Opinions are coming earlier than usual this year! But, they were going to get it anyways right? 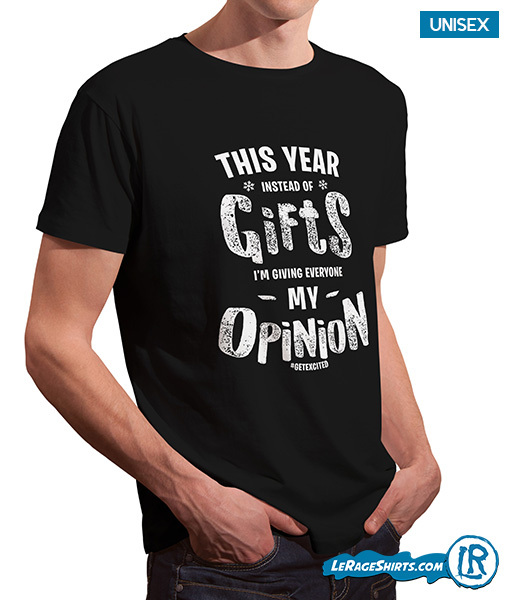 This Year Instead Of Gifts I'm Giving Everyone My Opinion #GETEXCITED Christmas shirt makes the perfect Holiday Gift for Him or Her! Tis the season of Opinions!